Pope Francis on November 21, 2018, make it clear that he would not want to contemplate a Church without those who give of themselves in contemplative life. His thoughts came in a messsage sent to the participants in the meeting organized by the Congregation for the Institutes of Consecrated Life and the Societies of Apostolic Life on the occasion of the Pro Orantibus Day, held November 21 in the Pontifical Lateran University and in the Papal Basilica of Saint John Lateran. “What would become of the Church without the contemplative life?” the Holy Father asked. “What would become of the weaker members of the Church who find in you a support to continue the journey? What would happen to the Church and the world without the beacons that signal the port to those who are lost on the high seas, without the torches that illuminate the dark night we are going through, without the sentinels announcing the new day when it is still night? 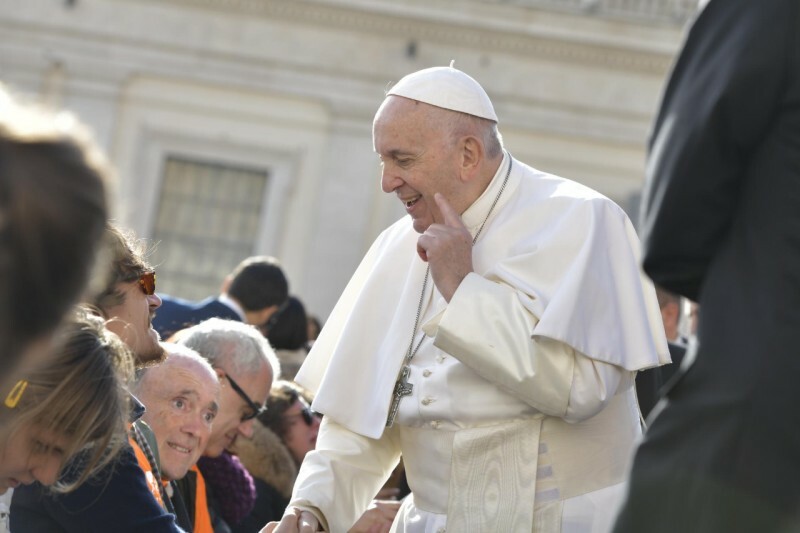 In addition to expressing his praise and gratitude, the Pope stressed the need for solid formation to prepare those who enter contemplative life. On the liturgical feast of the Presentation of Mary, today we celebrate, in its 65th edition, the Pro Orantibus Day. This year the Day, celebrated in the Pontifical Lateran University and in the Papal Basilica of Saint John Lateran, is dedicated to the presentation of two documents that directly concern female contemplative life: the Apostolic Constitution Vultum Dei quaerere and the Implementing Instruction Cor orans. On this occasion, I am grateful to greet all of you participating in the Day. Through you, I greet all the men and women religious who follow Christ in the contemplative life, seeking the face of God, and who participate in the Church’s mission as her praying heart. Thank you for responding to the invitation to take part in this meeting and this celebration, addressed to you, with my encouragement, by the Cardinal Prefect and the Archbishop Secretary. And I also thank the Pro Monialibus Secretariat, which prepares this Day with great care and takes care of the sisters with special needs in the Villa della Meditazione and helps the monasteries in difficulty. I would like to take advantage of this Day to express to you once again the great appreciation of the Church for your form of life. What would become of the Church without the contemplative life? What would become of the weaker members of the Church who find in you a support to continue the journey? What would happen to the Church and the world without the beacons that signal the port to those who are lost on the high seas, without the torches that illuminate the dark night we are going through, without the sentinels announcing the new day when it is still night? Thank you, sisters and contemplative brothers because you offer all this for the world: support for the weak, beacons, torches and sentinels (cf. Apostolic Constitution Vultum Dei quaerere, I, 6). Thank you for enriching us with so many fruits of holiness, mercy, and grace (cf. ibid., I, 5). With the whole Church, I also pray that the Lord may “be ever present and active in your heart and transform you entirely in Him, the ultimate aim of the contemplative life, and may your communities or fraternities become true schools of contemplation and prayer. The world and the Church need you. … This should be your prophetic witness” (ibid., I, 36). In this circumstance, I invite you to take seriously the challenge of formation, which, as you well know, consists of “a path of gradual identification with the attitude of Christ towards the Father” (Saint John Paul II, Apostolic Exhortation Vita Consecrata, 65). This is why, since formation clearly continues throughout a lifetime, it is also necessary to accept with responsibility that it is a slow process, for which it is important not to be hasty. In this context, I also remind you of the importance of discernment and of the spiritual and vocational accompaniment of candidates, without ever allowing oneself to be filled with anxiety over numbers and efficiency (cf CIVCSVA, Ripartire da Cristo, 19 May 2002, 18) as well as the formation of formators and sisters called to provide the service of authority. In order for your contemplative life to be meaningful for the Church and for today’s world, it is necessary to focus on a formation that is adapted to the needs of the present moment: an integral formation, personalized and well-accompanied. Such formation will nurture and safeguard your creative fidelity to the charism received, both of each of the sisters and of the whole community. Dear sisters and brothers, may this day spent in fraternity bring light and life to your communities; may the Virgin Mary, model of contemplation, teach you to constantly seek the face of God and to remain faithful to your mission of being the praying heart of the Church. I impart my Apostolic Blessing to you with affection and ask you, please, to pray for me.